My whole landlocked life growing up in Central New Year I dreamed about doing things like snorkeling, scuba diving, etc. Sure, we had the Finger Lakes which are pretty and good for things like water skiing if you've got a boat, but I'm talking about seeing coral and crystal clear see-through blue water. The last few years of having an accountability partner I always said my goal in any given year was to get certified for Scuba. I failed in achieving that goal in 2014, 2015, and 2016. In February 2017 I went to the British Virgin Islands on a sailing trip. In the middle of the week we stayed a couple days at the Bitter End Yacht Club and we had the option to either go scuba diving, or take a hike around the island. I would have given my left arm to go scuba diving in this beautiful place, but alas, I was sans cert. I went to Bermuda in May 2017 for a weekend, and did so much snorkeling it was incredible, but again, no scuba. I was getting really fed up with going to these places and not having the ability to do this one thing. So, cue December 2017 and a trip to Key Largo, Florida. 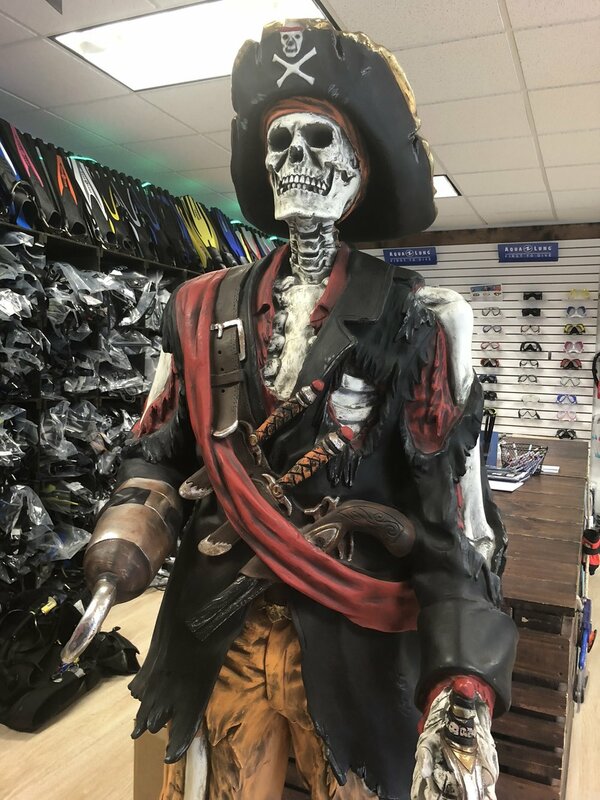 A friend and I decided to spend five days at the Marriott Key Largo Resort and get certifications through Rainbow Reef Dive Shop. I was going for my basic Open Water and he was working on his Advanced Open Water. What we didn't plan on was a massive east coast storm that brought the typical 80 degree temperatures down to 40s and 50s. My program was to be broken down into 2 days. Day 1 Morning in the Pool, afternoon on the boat. Day 2 Morning in the pool, afternoon on the boat. However, Day 1 was 40 degrees, grey, and had 5-6 foot swells. Not exactly ideal conditions. So luckily I had built in extra time and modified it to be Day 1 Pool Day, Day 2 Afternoon Boat, Day 3 Morning Boat. I had also done an entire e-course in the weeks leading up to Florida, and it was actually tougher than I was expecting. Who knew there'd be so much science!? Kidding. I knew. I had no idea how exhausting it all could be, but it was worth the wait. I'm out of shape and was hoping I could walk with all that gear on. I have asthma and was concerned I wasn't going to be able to do it. I had to get sign off from my doctor before going, and believe it or not, it didn't bother me in the least. If anything, breathing artificial air felt pretty great. Both of us passed our certifications with flying colors and were promptly asleep each night by 9pm because we. are. party. animals. However on our last day we drove the 2 hour drive out to Key West to celebrate, and then the two hours back. At no point was it warm, Florida weather, but it didn't matter. Life Goal Achieved.